It is widely known that the more a population is informed of natural risks, the more it is resilient and able to face calamities. This is why prevention and information are important in disaster management and in the sociology of risk. Less well-known is the contribution populations themselves can provide. Knowledge is not a one-way road: scientists contribute to the general level of risk awareness in the population, but citizens can also give scientists precious insights that would otherwise have been overlooked. That is what Citizen Seismology is about: involving citizens and using them as a primary source of information (witnesses). Such information can be used to study the population reaction to seismic events (sociology of risk and risk management), and also to obtain valuable testimonies on the seismic events themselves. Many events are, by nature, transitory: when they occur, usually no scientist is on the spot ready to record them. But local people have the ability and the technology to help. In the case of seismic events, many phenomena (dust clouds for example) can only be recorded immediately because of their transient and fleeting nature. 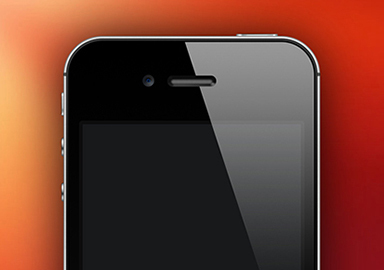 LastQuake is a unique phone application providing seismological information in real-time. Our app only focusses on earthquakes felt by populations, and routinely delivers preliminary information in less than 2 minutes after the first felt tremors. There are currently 130,000 active users and our app is widely praised by the witnesses of earthquakes. LastQuake is also remarkable for its ability to rapidly collect testimonials. Indeed, in Nepal, over 7 000 testimonies and 1 000 geolocated photos were collected during the devastating shock of 25 April 25th, 2015. 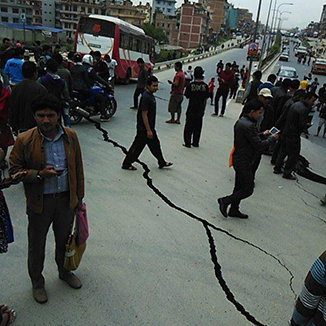 After this crisis, Nepalese users expressed a wish to see safety instructions follow after an earthquake in LastQuake app. It is precisely on this point that the EMSC and THALES Foundation have decided to combine their expertise. Our common goal? Systematize the dissemination of early safety instructions that facilitate relief operations and reduce inappropriate behavior. If citizens are informed and involved in the seismic field, they will be more vigilant and keen to take pictures, movies, write testimonies, in a word, be active witnesses. 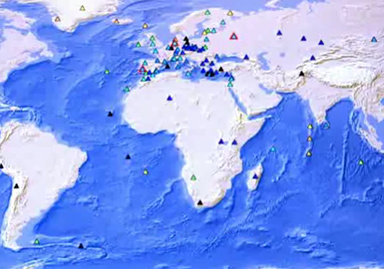 Citizen Science has been acknowledged for many years, but the development of Citizen Seismology itself is very recent. With its many projects involving citizen's participation, the EMSC is a driving force in this new area of study. 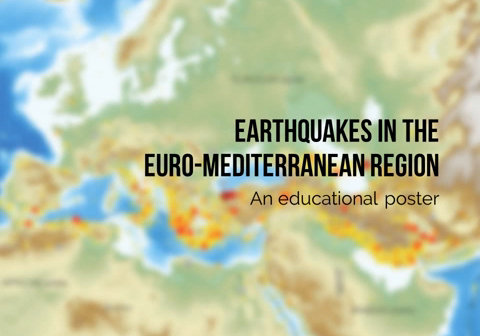 A video available on Youtube explains all of the EMSC activities related to the Citizen Seismology. 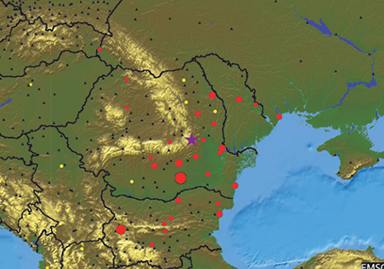 The EMSC gathers a unique database of testimonies and pictures of seismic events. How does it collect them? When people experience an earthquake, they come to the website to find out what happened. Then they have the opportunity to share their experience and/or pictures, with scientists and also with other users: after an initial review by the EMSC staff, comments/ pictures are made public so everyone can have access to them, and compare his/her own experience with the other ones. 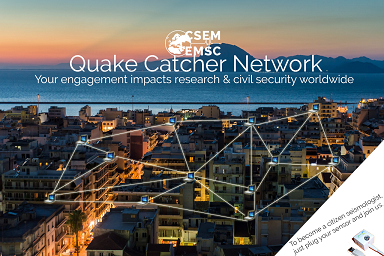 Through the EMSC website, citizens can share their memories of an earthquake, experience catharsis and contribute to the progress of seismology. To involve the citizens further, the EMSC is developing a new, user-friendly website that allows users to quickly find the information they need. With the support of DigitalElement it has also developed a tool to locate, in the first few minutes after a seismic event, where it has been felt, by analysing the hit rate change on its website..
EMSC works also for the general public through educational materials. 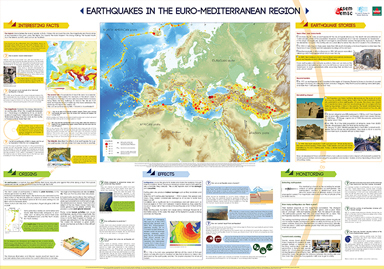 English version of the educational poster. File size: 4Mo. Video about the educational poster. An innovative tool to efﬁciently detect felt earthquakes. The better way to share your testimony! For iOS and Android. Feel free to give us your feedback about our materials. Want to contact the EMSC? Please fill all the textareas of the the form. This website is optimized for smartphones, tablets and desktops with Firefox4+, IE9+, Chrome4+, Opera10+ and Safari.